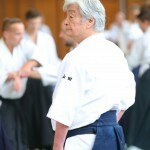 Sensei Yamada ’s Official Website - Sansuikai Europe. 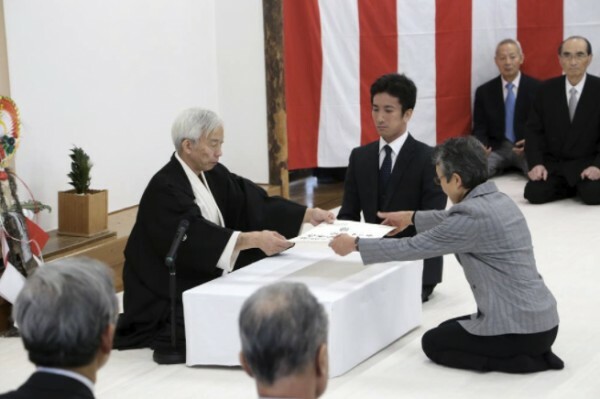 On the 13th of January, Doshu Moriteru Ueshiba made the announcement of the grading recommendations and held the award ceremony for the promotions. We are pleased to inform that Roberto Bollero has been promoted to 7 dan. Congratulations! The year of 2018 almost comes to end. I’d like to take this opportunity to thank all of you for your long support to myself and to Sansuikai. Once again, it was a very busy year for me, visiting 6 countries in Europe. Needless to say, every one of these travels was not as easy as it used to be, due to my age but I enjoyed every moment I spent with you. I would like to continue my mission as long as I can. By the way, my new year’s resolution is to be active until I have 90th birthday. In order to stay young and healthy, I decided to go back to my life style like the one I had when I was 50 years old. I will start drinking wine and chasing after young ladies and enjoy the life. Give all my headaches to God. In the year of 2019, I will be visiting 8 countries and I’m looking forward to each one of them. I hope the year of 2019 is good and healthy year for you. 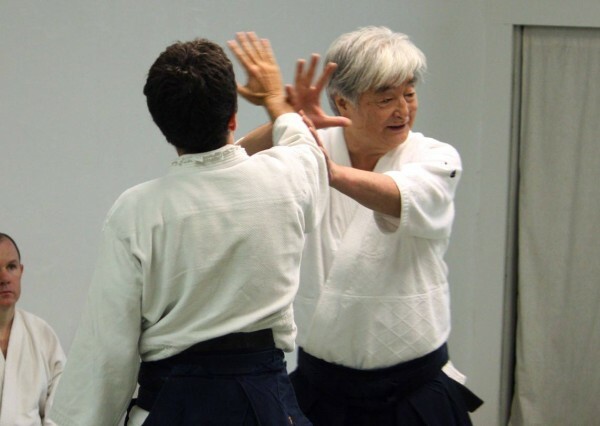 We are very sorry to hear about the loss of one of our Sansuikai teachers, Alain Salée, 7th dan Aikikai, chief instructor of Aikikai Verviers, Santan Ryu. He died age 79. We met Alain many years ago at the yearly summer camp in La Colle-sur-Loup in France, to which he went many times to study aikido with Tamura sensei and Yamada sensei. 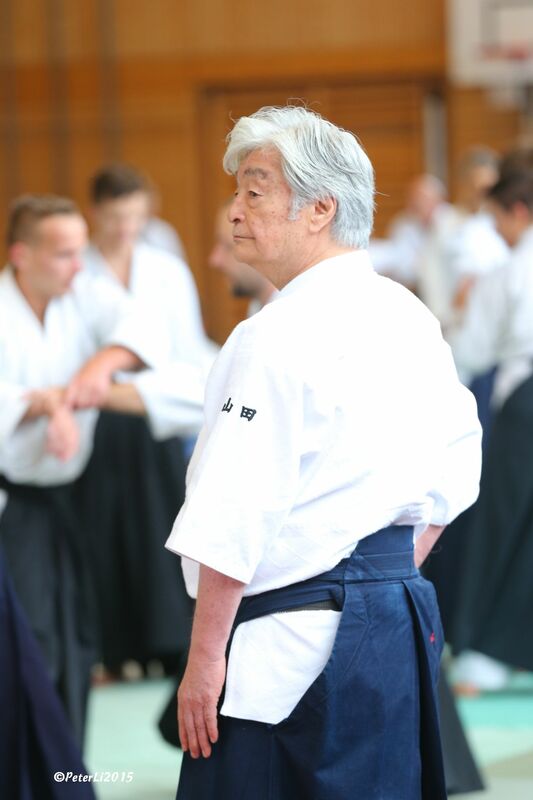 Alain was one of the aikido pioneers in Belgium and one of the longest active aikido practitioners in Belgium. 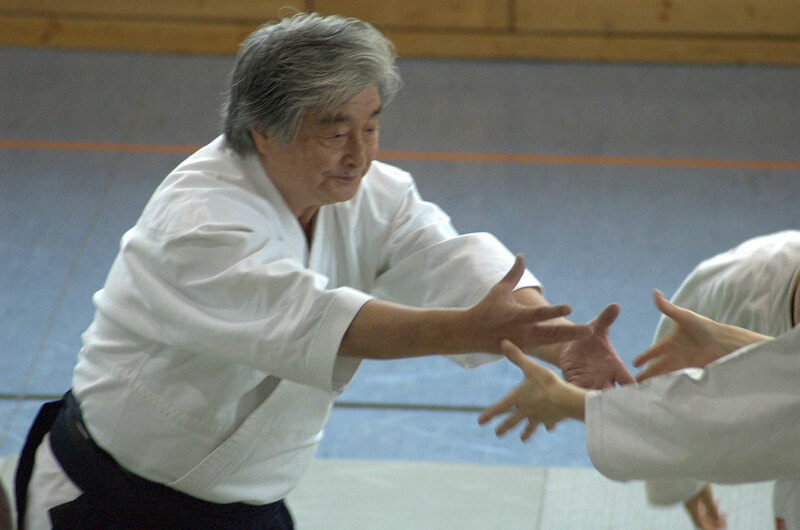 He started practicing Judo back in 1952. We’re not entirely sure about when he started aikido but probably that was around 1960. 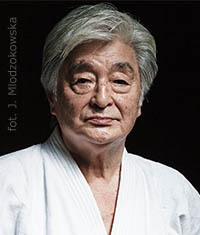 He studied with Noro sensei, Tamura sensei, Yamada Sensei, Sugano sensei and Asai Sensei, among others and taught aikido in Verviers in Belgium. As a profession he was a policeman. 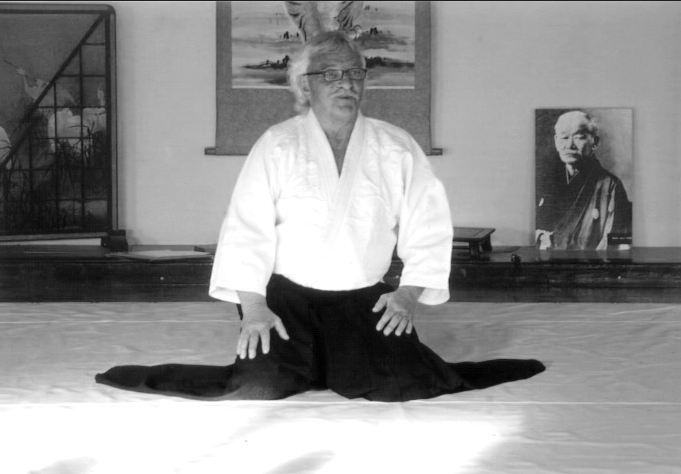 Once retired, he build a new dojo in Verviers and continued to teach aikido there until his death in 2018. He was a respected example of an aikido practitioner dedicating his life to studying and teaching Aikido. You can read an interview with him in the Aikido Journal (French version) from 2005. 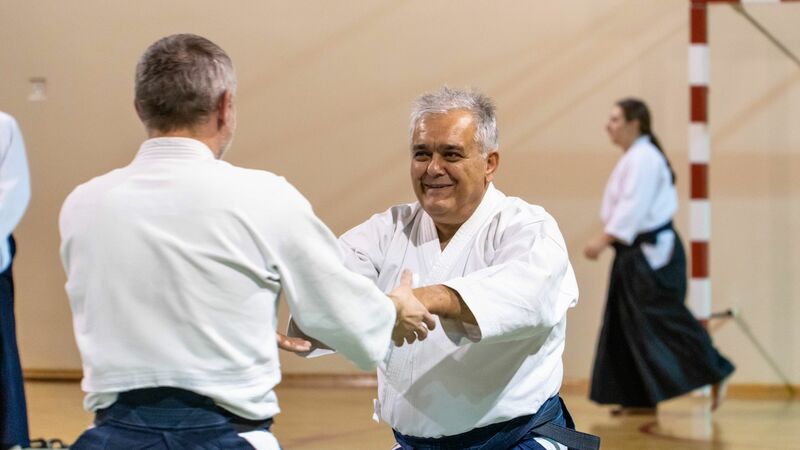 On the 14th of January, Doshu Moriteru Ueshiba made the announcement of the grading recommendations and held the award ceremony for the promotions. Happy New Year and I hope everybody had a wonderful Christmas. I understand that you are having a very cold winter so please keep yourself warm. Now another new year and I hope it is going to be a wonderful and productive year for you. As for myself, I will be 80 years old but I will try my best to work for you in many ways. However, it is too much for me to visit each of your countries so please try your best to come to see me wherever I go this year. I wish all of you a happy, happy new year. I’d like to take this opportunity to thank you for all your support and the wonderful moments you have given me throughout the year. I imagine that every one of you will make a new year’s resolution. My resolution is to have another healthy, positive year in order to meet your expectations. I hope you also have a good year and go back to your “Shoshin”, that translates roughly to “Back to the original motivation or pure motivation”. I imagine that you were so happy only to practice Aikido when you started an Aikido life. Please always carry that pure mind with you. Looking forward to seeing you again in 2017 whenever and wherever it may be. I love you all. I was very happy to see many of you in Barcelona in March. As you know, I’m limiting my trips to Europe this year and I appreciate your understanding for my health condition. It has been my biggest concern about the future of Sansuikai and how much longer I can take care of all the businesses. I’m happy to inform you one of my decisions. Sansuikai International both Europe and South America will become a member of USAF automatically. There will be no paperwork, no fees or no money involved. Everything remains as it is now, such as Dan registrations, etc. As for Kyu certificates, I encourage that all the Kyu certificates to be issued only by each dojo. I understand that you may have many questions about joining USAF, item by item. Please contact me directly.